Do you use a health tracking app or device like FitBit, Garmin, MapMyRun, Moves, MyFitnessPal, and so forth? 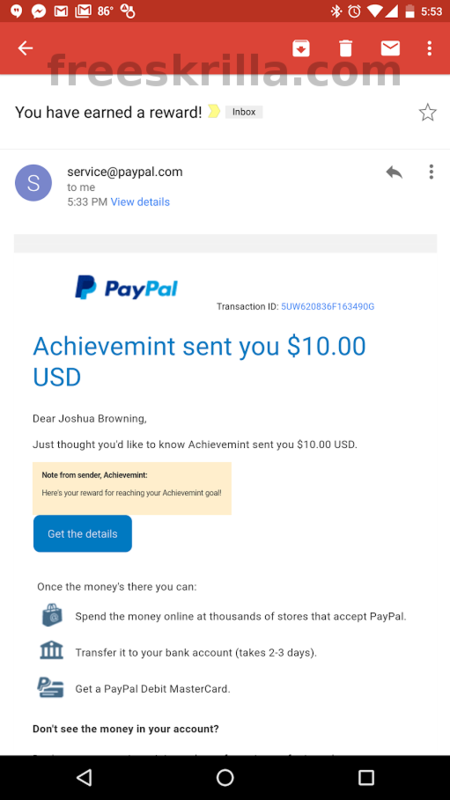 If you keep track of your health and activity/lifestyle you should join Achievemint. You get paid for doing what you’re already doing, which is pretty neat. 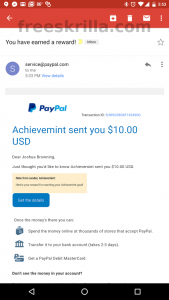 Click here to check it out, and see payment proof below! Click the image for the full size.